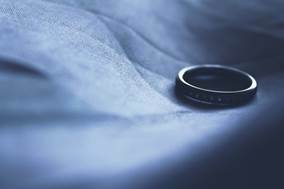 As of 29 January 2019, new Regulations came into force in nineteen EU countries – Spain amongst them – enabling married couples and registered partners to make agreements about the division of their matrimonial property, which will be enforceable on either divorce or death. Recently, Christopher Lee was invited to speak at the University of Genoa on the highly sensitive issue of gauging the views of children in Spanish court cases involving the 1980 Hague Child Abduction Convention. 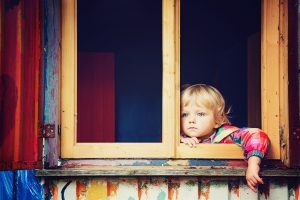 Following the conference, Christopher was asked to write an article (below) for The Judges’ Newsletter on International Child Protection, a journal that has for twenty years aimed at securing judicial education and co-operation in this highly specialised field. Administering Spanish and UK estates differs greatly. Who pays inheritance tax (“IT”) is an example: Spanish IT is paid by beneficiaries, whereas in the UK it’s the deceased’s estate that foots the bill. To have Grandpa’s flat registered in your name (essential if you’re ever to sell it subsequently), you must first pay Spanish IT. Rates vary throughout Spain and depend on the familial relationship that links the beneficiary to the deceased (if related). Contrast this with the UK, where IT is paid at a flat 40% rate above a sizeable non-taxed sum. 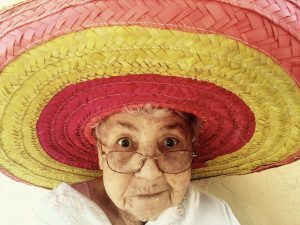 To move in to your great-aunt’s villa, in addition to Spanish IT you must also pay local value increase tax (known as plus valía) to the town hall in Marbella, as well as Land Registry and Notary’s fees. The villa itself and all her other Spanish assets of significant value must be listed in an inheritance acceptance deed, including her Spanish bank accounts, her red Ferrari and her collection of Salvador Dali lithographs. 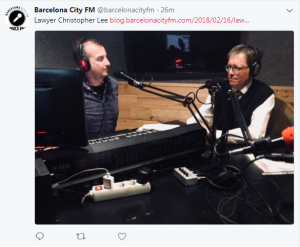 Christopher took his legal expertise and fabulously British accent to the airwaves this week (15.2.18) to discuss child abduction issues.